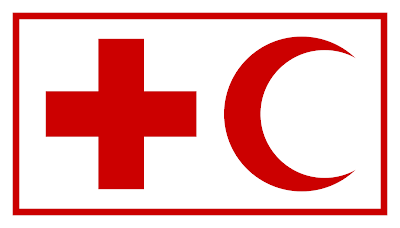 The International Federation of Red Cross and Red Crescent Societies (IFRC or “the Federation”) is the world’s largest volunteer-based humanitarian network. The Federation is a membership organization established by and comprised of its member National Red Cross and Red Crescent Societies. Along with National Societies and the International Committee of the Red Cross (ICRC), IFRC is part of the International Red Cross and Red Crescent Movement. The overall aim of the IFRC is “to inspire, encourage, facilitate, and promote at all times all forms of humanitarian activities by National Societies with a view to preventing and alleviating human suffering and thereby contributing to the maintenance and promotion of human dignity and peace in the world.” It works to meet the needs and improve the lives of vulnerable people before, during and after disasters, health emergencies and other crises. The IFRC is served by a Secretariat based in Geneva, with regional, country cluster teams and country offices throughout the world. The Secretariat is led by the IFRC Secretary General and provides the central capacity to serve, connect, and represent National Societies. The Secretariat’s focus includes providing support to the IFRC governance mechanisms; setting norms and standards; providing guidance; ensuring consistency, coordination, and accountability for performance; knowledge sharing; promoting collaboration within and respect for the Movement; and expanding engagement with partners. As one of the five decentralized parts of the Secretariat, the Asia Pacific Regional Office (APRO) leads the support to National Societies of 38 countries through Country Offices (CO) and Country Cluster Support Teams (CCST) spread across East Asia, South Asia, Southeast Asia and the Pacific geographical areas. APRO, led by the Regional Director, is organized in six units overseen by unit heads: (1) Policy, Strategy & Knowledge; (2) Disaster and Crisis Preparedness, Response & Recovery (DCPRR); (3) Partnership & Resource Development; (4) Health & Care; (5) Communications and (6) Logistics Management. Programmatic – Disaster Risk Reduction (DRR), Shelter and Livelihoods Areas of Focus, Strategy for Implementation 1 and Community Engagement and Accountability (CEA). Crosscutting Thematic Approaches – Migration Area of Focus and elements of Strategy for Implementation 3, particularly Civil-Military Relations and Disaster Laws as well Cash Preparedness (which cuts across the various AOFs and SFIs). Management Support – Focusing on general support to the unit and support relating to management of special projects, including for Malaysia. The Emergency Operations Coordination functional area works collaboratively with the other DCPRR functional areas as well as with other units in APRO, Geneva, CO and CCST counterparts towards: (i) managing an inclusive local-to-global IFRC-wide response system, built upon Movement learning, informed by industry best practices, and equipped for the future; (ii) delivering innovation in managing information for timely and comprehensive collation and analysis to inform IFRC operational and strategic decision making; (iii) ensuring evidence-based analysis of risks and capacities that supports better preparedness and more integrated, multi-sectoral, holistic approaches to response and recovery; (iv) profiling the work of the IFRC in the region across the preparedness-response-recovery continuum, highlighting the value added by the IFRC in strengthening community resilience; (v) expanding Disaster Relief Emergency Response Fund (DREF) access to more vulnerable communities and in response to small-scale, silent and forgotten disasters; (vi) delivering more transparency in procedures and decision-making, including through clear agreed standard operating procedures (SOPs); (vii) ensuring institutional readiness for disaster and crisis response; (viii) applying innovative approaches in disaster and crisis response and recovery operations; and (ix) instilling a culture of information management across the organization. The Information Management Coordinator is a member of the Emergency Operations Coordination team. The IM Coordinator – under supervision of the Manager for Emergency Operations Coordination and reporting technically to the IM Lead in Geneva Disaster and Crisis Department – will oversee the coordination of timely, efficient, effective and innovative information management approaches in disaster and crisis prevention, response and recovery. Specifically, the IM Coordinator leads collection and analysis of data and dissemination of information – in a timely manner and helpful format – to support decision-making at regional and national levels. Furthermore, s/he is accountable for implementing information management approaches, providing technical guidance, facilitating training, deploying for technical assistance and networking with stakeholders. Actively facilitate the preparation of accurate and timely operational analyses as well as deliver information management inputs for monthly management highlights (MMH) and snapshot to be submitted to the Senior Management Team. Provide relevant support to the Head of CCST in Jakarta on longer-term information management initiatives including those relating to the National Societies of Indonesia and Timor Leste and ongoing work with ASEAN. Engage with cross-functional Red Cross Red Crescent teams and subject matter experts in Asia Pacific to produce quality concept papers, proposals, updates and reports on information management aspects. Draft and manage the implementation of a regional information management strategy, centred on the delivery of reliable, accessible, user-friendly, relevant, appropriate, and timely information. Guide teams in Asia Pacific to identify new information and data requirements in support of operations, including appropriate secondary data and information resources. Manage the operational data infrastructure for IFRC Asia Pacific Regional Office; including managing the GO platform regional and operational pages and providing National Society and surge IM user guidance and support. Provide quality control and technical guidance over tools that support data collection and analysis such as Open Data Kit (ODK), KoBo Toolbox, Red Rose and Resource Management System (RMS). Oversee quality assurance of IFRC data collection processes and data management activities in Asia Pacific including encoding, storing, and transferring data to key stakeholders. Ensure timely preparation and generation of information products such as infographics, dashboards and maps for information sharing and dissemination to relevant stakeholders. Monitor the effective use of information management systems and resources, application of relevant tools and procedures, identify information management gaps and undertake to address the gaps where necessary. Facilitate training and dissemination on information management standards, procedures and tools to IFRC offices and National Societies with the view of enhancing their data and information management capacities. Coordinate and facilitate sessions aimed at building data literacy at strategic and operational levels of the IFRC. Provide technical guidance and support to National Societies on improving their data collection, analysis and data-driven decision-making capacities. Provide support to operations – when they request – in geographic and registration data management, and ensure consistency and inter-operability between registration data, other operational data sets and statistical reporting. In coordination with surge colleagues, contribute to selecting, training, mentoring and maintaining a pool of IM surge personnel available for deployment to support emergency responses, and formulate terms of references (TOR) for such missions. When required, deploy to provide emergency response information management support to operations in affected countries, including as part of the team to support analysis during assessment and planning in emergencies. Collaborate with stakeholders within the Movement – and where necessary with external agencies – to determine required data sets, agree on data sharing, define data gaps and agree on collaboration in obtaining missing data. Build and maintain relationships with Red Cross Red Crescent information management experts in the IFRC GO network and the IFRC SIMS network to gain access to relevant sources of data, and data/information services. Ensure that IFRC Category Orange and Red emergency operations provide inputs for inter-agency 4W as appropriate. Establish and maintain functional networks and coordination with Movement partners, UN agencies and other humanitarian actors to ensure that IFRC is up-to-date on best practices and emerging trends related to information management. Represent IFRC in data and information management engagements with the ASEAN Coordinating Centre for Humanitarian Assistance on Disaster Management (AHA Centre) and, where appropriate, collocate with the AHA Centre information management team at their emergency operations centre.